Subscribe for Info and offers, plus get 100 Reward Points. Thanks a lot for your efficient and satisfactory services. You helped me make my best friend's birthday so very special. Grateful. Book a flower delivers flowers in all occasion, spreads happiness, love and warmth with beautiful blossoms since decades. We hold experience in choosing the appropriate blossoms and pair it with the perfect add-on to create a great gift for our customers. Years back, our establishment started with flower delivery in Delhi, Mumbai, Pune, Hyderabad, Chennai and other metro cities. With time, we extended our business to different parts of India and received immense support as well as appreciation from our clients. Today, we stand as one of the largest florist chain with physical stores spreading all over India and a strong presence on the internet too. Anyone can order flowers online with just a click! We are proud to speak about our distribution network that is very organized and prompt with delivery service. Initially, we started as a company only for the clients in India but now, we are glad to have extended our service all over the world! 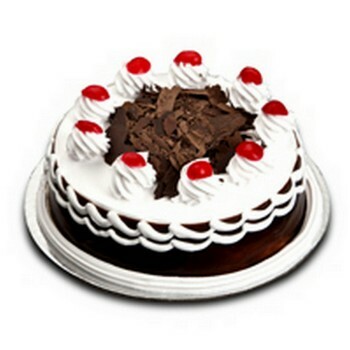 Each of our delivery desires to reach with only one aspiration, to spread joy and bliss on the face of our customers. The sparkle to receive a beautiful bouquet of flower never fails to lighten up everyone’s mood. If you were thinking of sending wishes and love to your loved ones, we are all set to fulfill your desire. Who designs the bouquets for you? We care for your need, hence cater you with the best! Book a flower has a dedicated team to design all the bouquets and pair appropriate gifts with it. They are proficient in this field and have experience in customizing perfect combinations with accurate colours to fit every occasion. Along with blossoms, they also add décor items like glitter sticks, ferns, ribbons and other adornments. All these makes are of high quality and lasts longer than ususal. The best part about these adornments is that you can use it later as room decor. 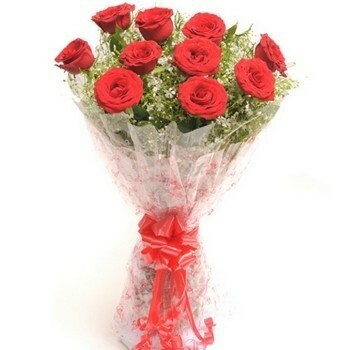 With Book a flower, send flowers online for all occasion and make your loved one’s day special! We pay heed to every detail and arrange the bouquets in different designs like heart, exotic love, truly fabulous, made for each other, always on my mind and more. You can surely guess by the name that each of our designs is dedicated to a theme. We don’t want you to miss the chance of making the special ones feel more special. Be it for family, friends, colleagues or partner; we have something for everyone. Book a Flower cares for your emotion. We take every step in building a bond with our customer and not just take things formally. Our team would be glad to let you know all about the flowers we send. 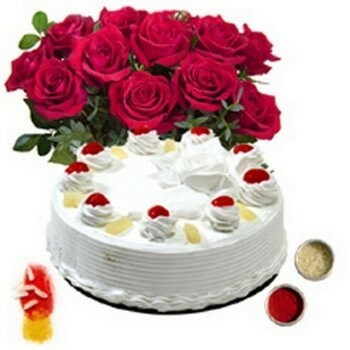 We offer a wide range of variety for our clients to select from and place an online order and send flowers to Mumbai, Delhi, Gurgaon and other places in India. Some of the A listed flowers that we offer include Orchids, Carnations, Tulips, Roses, Tube Roses, Lilies, Daisies, Chrysanthemum, Gardenia,Gerberas,etc. 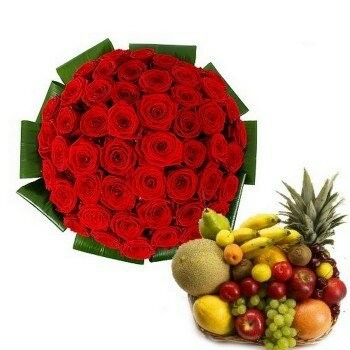 Apart from these known names, you can also choose and order flowers online from our collection which are rare in market. Some of those are Delphinium, Blue Thistle, Muscari, Tweedia, Clematis, Lilac, Sharry Baby Orchid, Anthurium, Agapanthus, Stephanotis, Veronica and so much more to choose.These are the most sort-after flowers all around the globe, and we promise to bring the best of them to you. 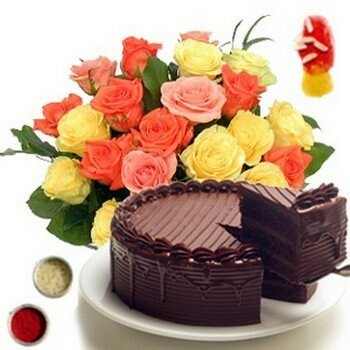 This is best for people who want to send flowers to Pune, Mumbai, Delhi, Chennai, other parts of India. Also, these are available for International flower delivery. There is alimit to beauty and flowers in the world. We vouch for bringing the best of floras for you from any corner. **If you are looking for something in particular, feel free to let us know and we will bring thedelight wrapped in a bouquet. We don’t limit our service till delivery. We take one more step to help you. All the fresh flowers that we deliver can stay fresh up to a week. Know the useful tips that our expert florists have to share. Among the many ways, there are some easy ways to keep flower fresh. Book a Flower won’t let the emotions of yours streaming in the flowers droop easily! First, once you get the flowers, you can keep it like that for at least 2 days without doing anything. After that, you can take them out and angularly cut the stem and put the flowers in water. Our florists strictly recommend keeping these flowers away from direct sunlight. Also, avoid adding any sort of chemicals in water. It will make the flowers droop and can rot them easily. Do not dip any foliage or flower’s part apart from the stem in water.This increase the chance for the flower to rot. Always get a clean vase to keep the flower. Another important point to note, don’t change the water of the flower daily, go it once in 2-3 days. Something interesting about flowers - We would like to share a strange yet effective tip with you. Add around 1/4th cup of sugared soda (cold drink, the clear ones), and it keeps the blossoms fresh for longer period of time. We value your emotions and would love to assist in keeping the good vibes live for longer. This is why; we always advise every client in keeping these excellent buds blooming for longer rounds of the ticker! 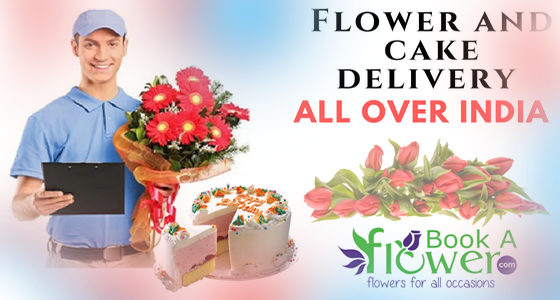 Now, you can be surer and order flowers online for your loved ones more confidently. Can you think of an occasion without gifts? No. It is an unsaid truth that talks about sending gifts to close ones. Even though people are accustomed to giving gifts, selecting the appropriate flower as a gift is always a confusing deal. Hence, we are here for you. All the florals we provide are fresh and of the best quality. You can check out our exclusive range of seasonal as well as occasional gifts and choose from the option of many. In case you have some extra in mind, we make sure to do it for you. To us, what matters the most is to deliver the bond of strength and pleasure to our clients. Reaching to the third milestone - Last month, we received our 3 millionth order to send bouquet online. It would have never been possible without YOU! 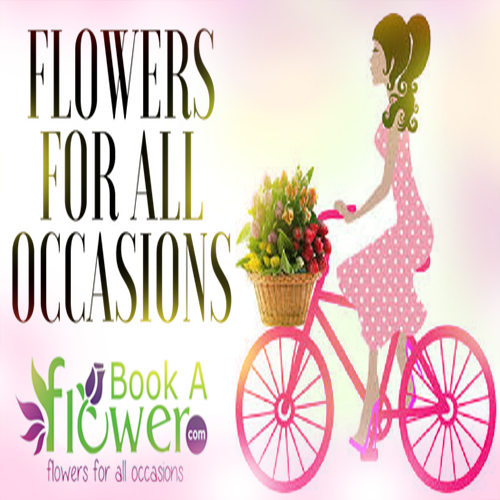 Book a Flower is ready to make every occasion special! We have a huge collection of bouquets along with several gift items for festivals, corporate events, and birthdays, weddings, anniversaries, Valentine’s Day, sending greetings or wishing for good health; we have it all. Diwali, Holi, Makar Sankranti, Durga puja, Onam, Rakhi, Dhanteras, Bhaidooj, Christmas, Thanksgiving and the list continues. For these festivals, we’ll pack - Fruity delight, Power of pink, Infinite wishes, Surprise special, Eternal joy. 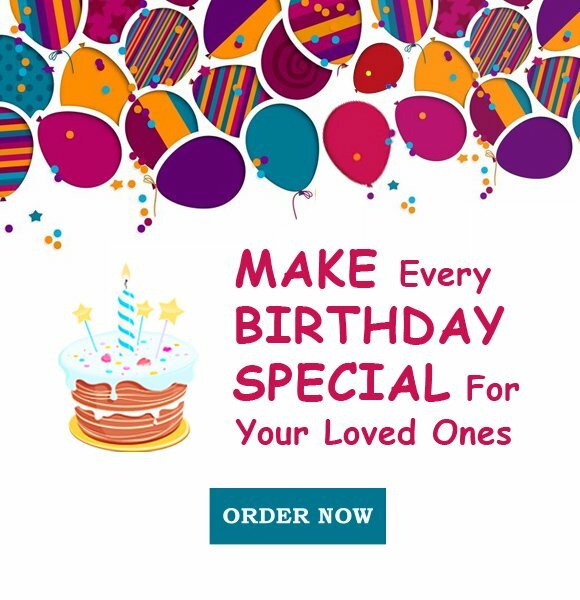 Most of these goodie gift packs have dry fruits, fruits, nuts, sweets, teddy bears and for making the occasion even better, you can send online cakes, chocolates, candies and more. 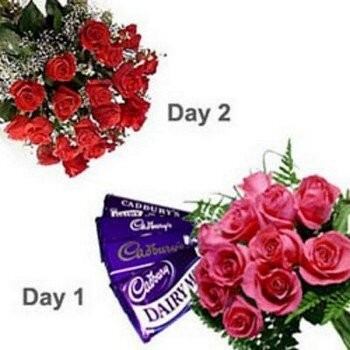 For rose day, chocolate day, valentine’s day, birthday, mother’s day, family day, New Year, you can get several gift combos from us. Some of the best include – Happy Flourish, Blossoming love, Friends forever, Pink is on my mind, Treat time, happy bunch. We also have occasion goodies that include gift cards like Café Coffee Day, Lakme salon, Crosswords and more vouchers. You can also write a quote to us which we’ll put on a card and send it. For the special ones, you can order wine online, and we’ll deliver it with the other gifts. In case you are not willing to choose from the pre-made hampers, there is more for you. 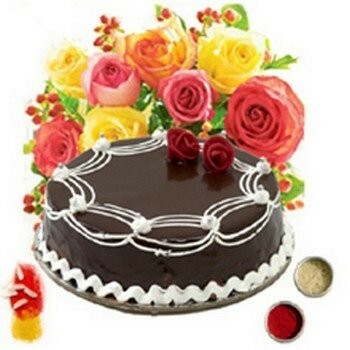 We maintain our niche as the best flower and gift delivery service in India as well all over the globe. 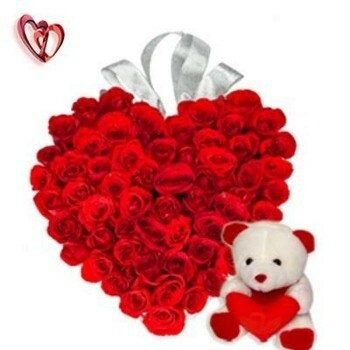 Check the available flowers or order for the ones that you want. Then customise the hamper with your choice of gift, cake, chocolates, sweets, wine, fruits, dry fruits, and nuts or anything you like from the large collection of our store. We will be glad to wrap it in the prettiest hamper and send it to your loved ones. 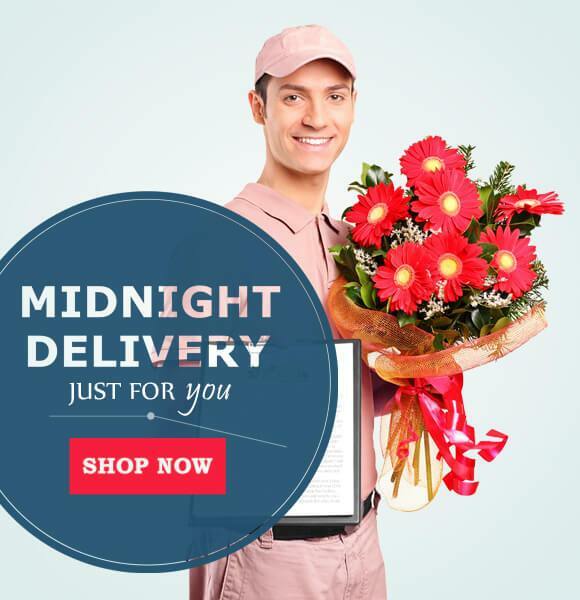 We also offer midnight flower delivery along with gifts on special occasions. 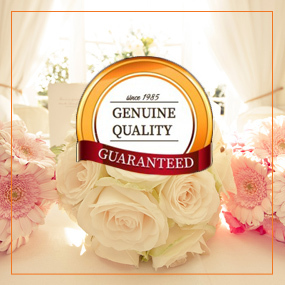 Book a Flower believes in making the entire process easy and convenient for our clients. To make the entire process easy for you, our website is designed in a very organized manner. You can easily sign up and make your account in Book a Flower. You need to register with your working email-id and contact number so that we can keep you updated about the order and upcoming offers. There is a wish list section in our website where you can choose the hampers, bouquets, gift items, etc. And later, you can add them to the cart for further usage. Once you have made the selection, payment procedure is equally easy and highly secured. It is a quick and instant payment system. The other facilities we offer order tracking and customer care. You can easily check your order progress, dispatch and when the order was delivered. 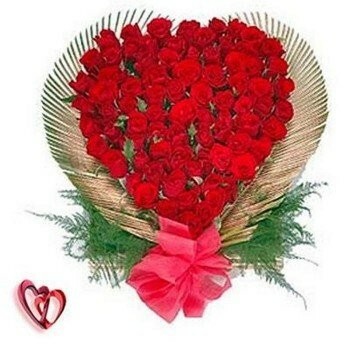 So, send flowers to Delhi, Jaipur, Noida, Bangalore, Kolkata and other places in India or abroad, and easily track the order. In case of any problem, you can contact our customer service, and we will be there for you. For any query, you can send an email too. With years of experience, we have polished our skills to perform prompt delivery at different places. Moreover, we have a huge team supporting our delivery service all over India from metropolitan to interior cities too. 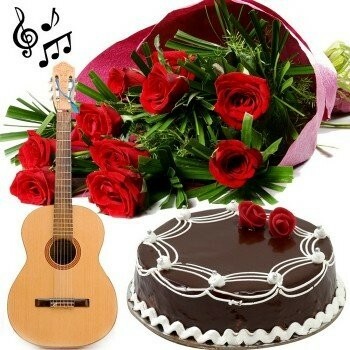 Send flowers to Mumbai, Delhi, Haryana, Gurgaon, Vishakapatyanam, Chandigarh, Kolkata, Lucknow, Gwalior, Nasik, Panaji and almost every nook and corner in India. We cater International flower delivery services too. Algeria, Australia, Barbados, Belgium, Brazil, Canada, Costa Rica, Chile, Dominican Republic, Denmark, Egypt, Finland, France, Fiji Islands, Germany. On top of that, we also render our services in countries like Hong Kong, Italy, Ivory Coast, Jamaica, Japan, Kenya, Kuwait, Lebanon, Luxemburg, Morocco, Mexico, New Zealand, Panama, Peru, Qatar, Russia, Romania, Spain, Singapore, Thailand, Tonga, Turkey, UAE, US, Venezuela, Virgin Islands, West Indies, Yugoslavia, Zimbabwe. These are some of the international countries’. 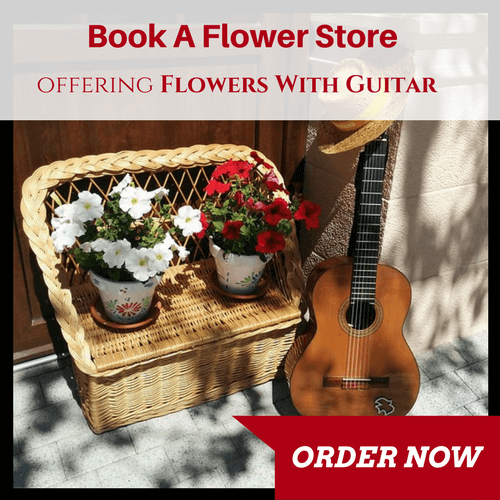 Book a Flower has the entire world covered for you! Why is our delivery service better than others? We care about bringing smiles to people’s face! Let us use our magic wand and sprinkle some joy in your life. Give us the honour to make a day of your loved ones special, and we assure not to let you down. 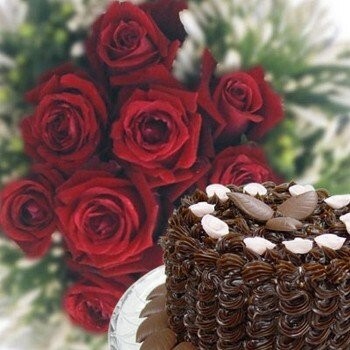 So, place an order to send flowers online and see how it spreads the spell of bliss. We would love to be a part of your life and a medium to deliver contentment. We are eagerly waiting for you to call Book a Flower soon. Put the bouquet on the table, pour the bottle of wine in theglass and pop a chocolate mouth!